Encelade is terrible. Cost us 2 games so far. Oh, and another stellar game plan from our wizard of an OC. Same 5 plays every week. Encelade catches that pass if he extends his arms instead of waiting for the ball to come to him. A good receiver knows that. I found some wheels on the side of the road. Any idea who they might belong to? This makes 2 games where we get our heads bashed in by a freshman QB. How about a long strike? Well, we found a thread. Let's pull that sucker until their sweater unravels. McMillan needs to settle down and process the adrenaline. Mooney was wide open, but the throw went to Jones, who dropped it. Jones should be returning kicks only. Why have we not gone back to the option at all? Our skill players lack skills. Why is the fastest RB in the country not getting more touches? UC fans are quiet. 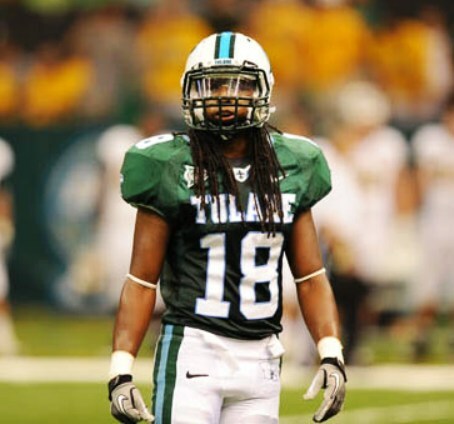 Kinda like, "yeah, Tulane, we know your pain". That was just a bad quarter of football, all-around. Question: when will Tulane ever have an offense that shows up for more than a couple games a year? I'd just as soon see Banks out there if the OL can't protect McMillan. Desperate times call for desperate measures. I'd send in Banks with a "sandlot" package and try to create some luck.